We have not yet discussed this over on TopiX however there are some spoilers about some upcoming content for October 2014. Today or Tomorrow I’ll be posting the monthly speculation post but first let’s have a look at the spoilers that have been discussed over on the EA forums. The Halloween Event of 2014 has been confirmed and will be arriving after the removal of the Clash of Clones on October 7, 2014. Information about this update broke out after an interview with Vulture.com, this news has been discussed a lot over on the EA forums and has been suggested to be the real deal. The interview can be found here. I will attempt to get a speculation post out just before the arrival of The Halloween event along with other helpful posts. The next spoiler is the upcoming episode tie-in which is set to be released for October 29, 2014. During the update of the Clown in the Dumps episode tie-in an event called “MattGroeningTieIn” was spotted in the files and could only suggest an upcoming episode tie-in for either the episode ‘Opposites A-Frack’ or the Futurama crossover episode ‘Simpsorama’. We can only hope. That is all from this spoiler post. Happy Tapping, Nathan. 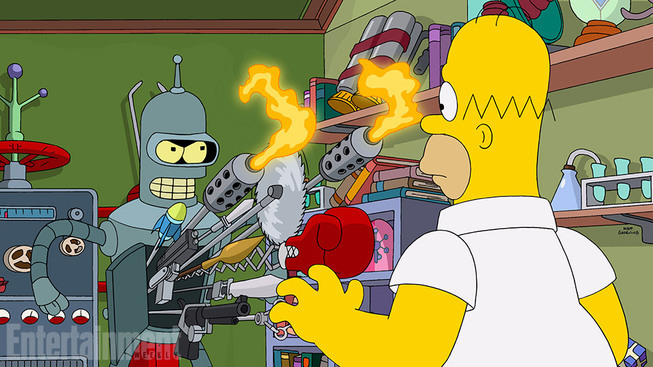 I think the Matt Groening Tie In will either have Futurama items, Life In Hell items, or Matt Groening’s simpsons counterpart will be playable. or maybe all three, I would love that! Can’t believe this will be the 3rd Halloween event! Another “spoiler” here – after Halloween there will be a christmas update. Probable but not certain. It would be fun to get a Hanukkah event. I was thinking the same thing. How does “Halloween is coming” qualify as a spoiler? Many people assumed there would be a second whacking day, but it was replaced with Easter the following year. There is no guarantee that an event will be repeated. So, early confirmation that a Halloween Event is coming, is a spoiler. My first thought at reading “MattGroeningTieIn” was that he might show up as a playable character in the game… as he’s appeared on the show. How was this a Halloween Spoiler? We all knew it would start once this Clans event ended. It was probable not certain. Tease, I thought we had real spoilers. How is any of this spoilers? Why does Matt Groening Tie In suggest it’ll be an episode tie in? 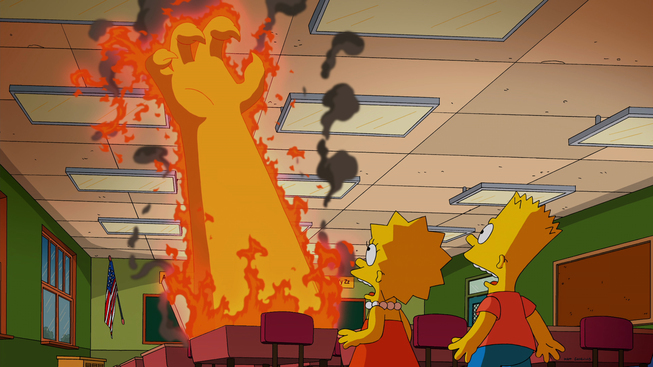 And one of the producers all but confirmed they cant do a Futurama tie in due to legal reasons. I am so excited for the Halloween event. I loved last year’s Halloween, as long it is nothing like that awful Easter event. Really hope so 😀 Always loved the Halloween events and Futurama. October may be the best month of updates yet! I love halloween. Also I loved last years halloween event and can’t wait form this one.And it is my fave time of the year.Last years was great but let’s see if this years is even better.